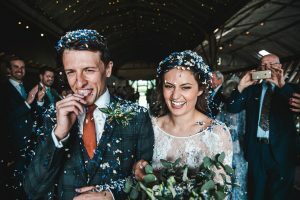 The Stone Barn is one of my favorite rustic Cotswold venues. 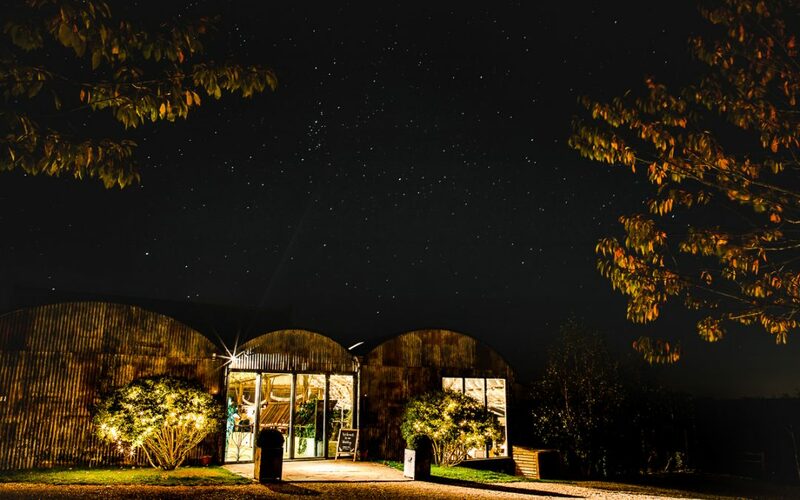 With breathtaking views over the romantic Cotswolds countryside, the real charm of the beautiful Stone Barn is in the ancient, intimate feel of the space. With glorious flagstone floors, a roaring fireplace, timber-beamed ceilings and giant candelabras – not to mention the elegant Dutch Barns with their arched iron ceilings and breathtaking views over crackling outdoor fire pits. 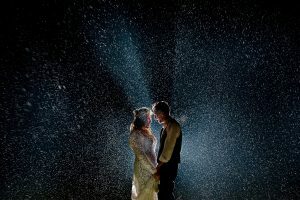 It’s a great party venue and for a photographer holds so many opportunities to be creative but also has abundant outside space to really get the best from the natural light at every time of year. This barn stands apart for me. The arched ceilings give a quirky and industrial feel but by evening the thousands of fairly lights bring a opulence and warmth. It’s a great all weather, every season venue, just as good for big sky sunsets as it is for rainy days. The fire places give warmth and the huge BBQ fires are such a wow factor that great your guests. I recommend saying your vows in front of the windows for the best light and the fairy lights can be seen twinkling in the background. The confetti run (please don’t actually run!) that takes place is a great addition to the fun, down the center of the barn with all your loved ones cheering you on. 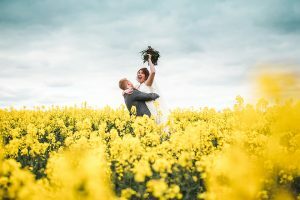 The cotswold countryside has an abundance of photo opportunities to take advantage of, I work around what the light is doing of course but always recommend my brides are armed with wellingtons so we can get out there and really get some wow factor shots. Be that on the drive with the sunset, wondering through the fields or stolling up the hill to really take advantage of the big sky photo’s that can be captured at the stone Barn. I love working here. The team are awesome and look after both clients, guests and their suppliers so so well.